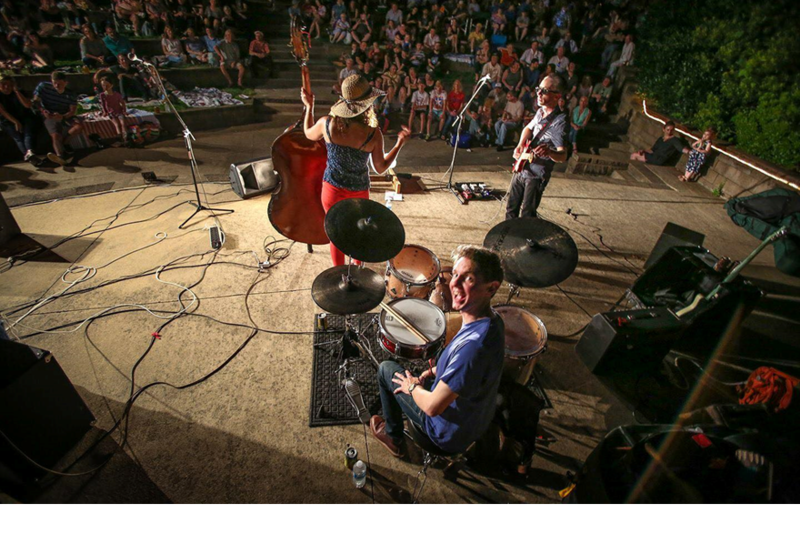 This will be the third year of the River Series at the Harbortown Amphitheather, a series of live music shows that benefit the Maria Montessori School. By setting the event at the on-campus amphitheater, an underutilized and truly beautiful event setting on the Mississippi River in Harbor Town, we will be able to showcase and celebrate the school, the river, the Harbor Town community and the musical talent of Memphis and beyond. Maria Montessori School has always been a gathering point for the school community. 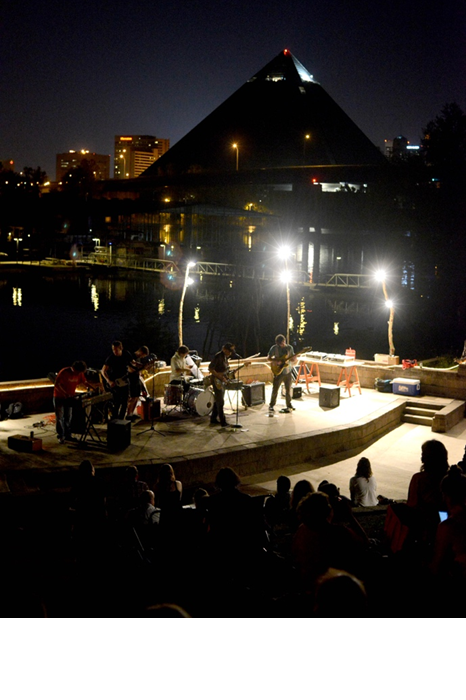 The school’s amphitheater is one of the hidden gems of downtown Memphis, and the River Series gives downtown a unique, curated alternative-use venue. The series was founded by Goner Records co-owner Zac Ives, who has put on music events in Memphis for over a decade, including the annual Gonerfest, an internationally recognized independent music festival which brings together bands and music fans from all over the world to Memphis every September. Over the first two years we have focused on Memphis artists, booking international touring bands like Motel Mirrors, Reigning Sound and Nots as well mixing in up-and-coming artists and under the radar session players. The eclectic mix has been well received by a diverse and growing audience. Audience for our last two shows of the spring season were between 400-600 people. We are currently booking the spring schedule and will announce those dates this fall. We are looking for partnerships to help us continue to grow the River Series. It has taken a lot of work from parents, staff, bands and sponsors to get us where we are. Initial funding came in large part from a grant from Downtown Memphis Commission. But that grant is cycling out and we need additional sponsor revenue to help us move forward. Founding sponsors Wiseacre Brewing, Miss Cordelia’s and the Memphis Flyer have been fantastic. Now we are asking you to join them. This year we will be offering individual show sponsorships at $1K each. They will be offered on a first come, first serve basis. And they can be purchased in multiples, meaning one company or group could come in and sponsor all six for $6K. If you are interested in sharing a night, we will also accept partial sponsorships. It all helps! The event’s sponsor will be recognized throughout the evening over the PA. They will also be featured on sandwich boards at the event and will have signage opportunities. We will feature sponsors online, in social media, in press releases and and during on-air interviews. The River Series, first and foremost, is a community event. By sponsoring the River Series, you are playing a vital role in the community. You are supporting the arts, enriching our city’s culture and helping to create an opportunity for us all to come together. It really is a powerful thing. Come be a part of it. For more information, contact Zac Ives at 901-494-9716 or at zacives at gmail .com. Checks can be made out to Maria Montessori School and can be dropped off in the school office.